The Ordinary is not only an affordable skincare brand, they also do some other products. One of those products is a range of 2 different foundations: the coverage and serum foundations. 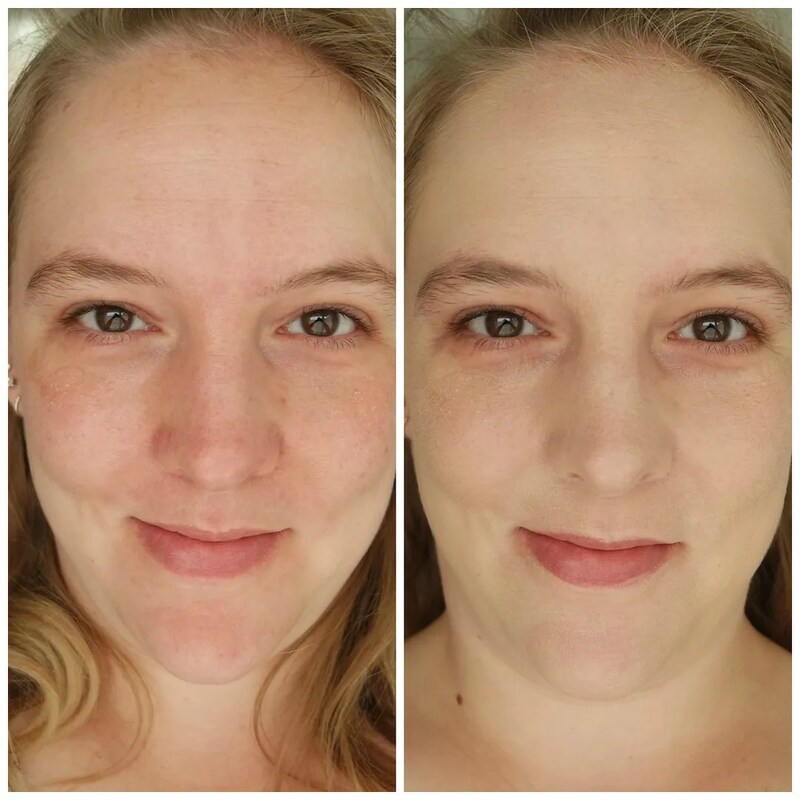 The coverage foundation promises to be more full coverage, but since I prefer a light to medium coverage foundation I decided to try the serum foundation. Let’s talk about price point first of all. Because that price point is nice and affordable as most The Ordinary products are. This foundation retails for just €6.95 for 30 mls of product. So that is a very good, affordable option. This foundation comes in 24 different shades and the line comes in different undertones as well. The foundation packaging is completely on brand for The Ordinary’s style. Their skincare products look basic and are presented in a fuss free, almost medical grade style. The foundation is no different. The packaging is simple, the bottle is transparent, showing the product inside and you do get a pump that helps with dispensing the product. Before we move on to the product, I would like to mention the pump in more detail. This foundation has a pump, but no lid. You need to twist the top to be able to pump out the product. While this works when you use this foundation at home, but not for travel. There is not way to secure the pump in place and this will easily turn messy if you try to pack this in a makeup bag. The first thing to notice is how liquid this foundation is. 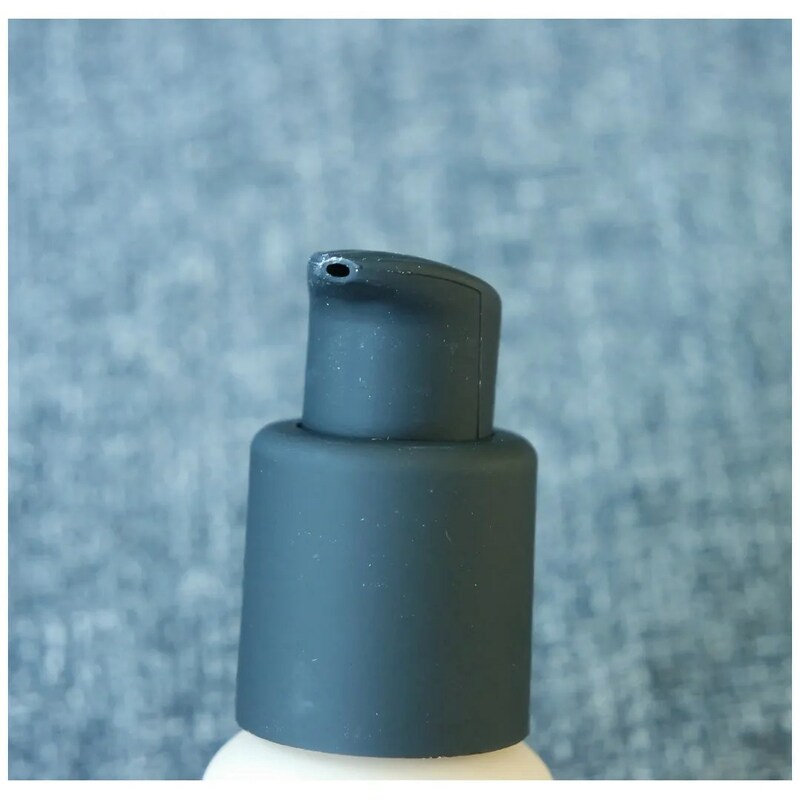 This is a product that once pumped out onto the back of your hand, you need to manage quickly as it will drip all over the place if you are not careful. The benefit of this liquid texture is how easily this blends into the skin. The thin texture blends into the skin seamlessly and it doesn’t take much effort to get it to do that. With foundation, the shade match is important. With so many under tones and shades, it is still a bit difficult to find your exact match. I went with fair neutral as that seemed to work best and I think it does. 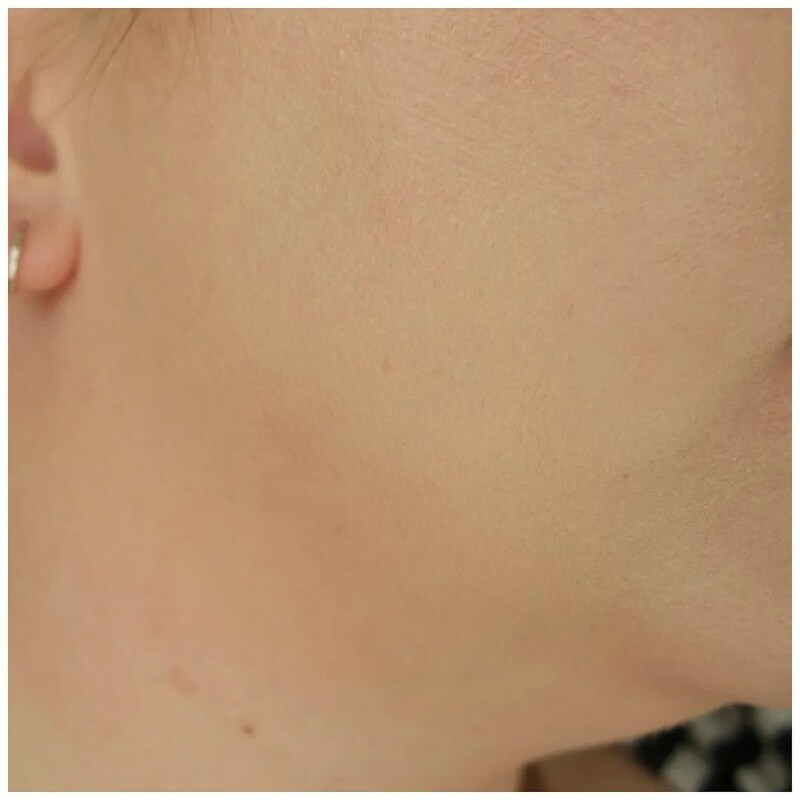 I would definitely take it more down my neck to ensure a more seamless blend. Additionally I would recommend applying this with a sponge for the most skin like effect. Using a brush works too, but could lead to a streaky result. To see how a foundation works, we of course need to see how the foundation sits on the face. In a full face application, I think that the coverage is spot on for my liking. 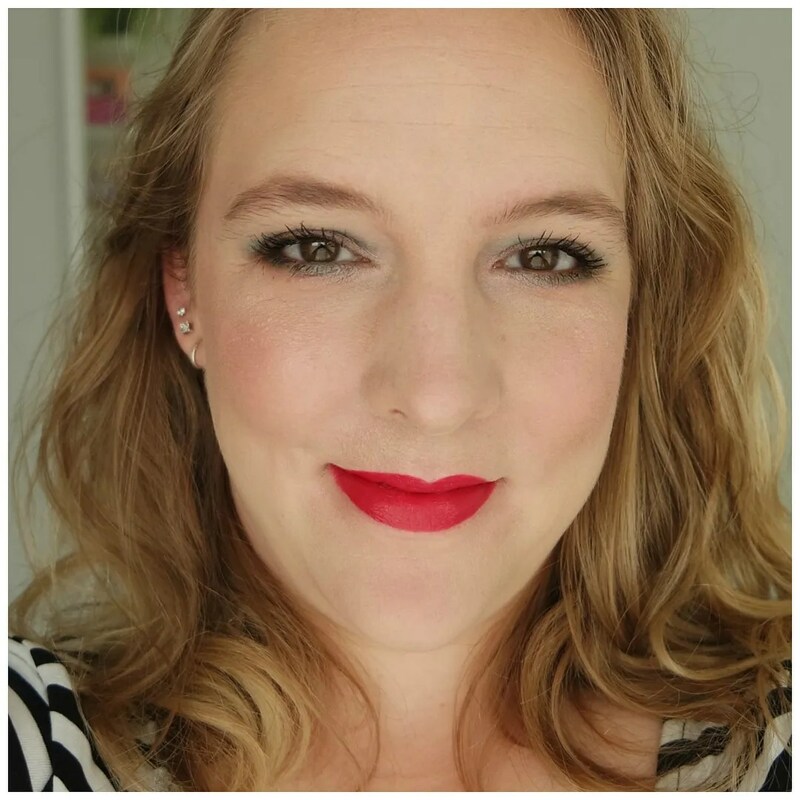 It is lightweight, but the coverage is exactly what I like in my foundations. 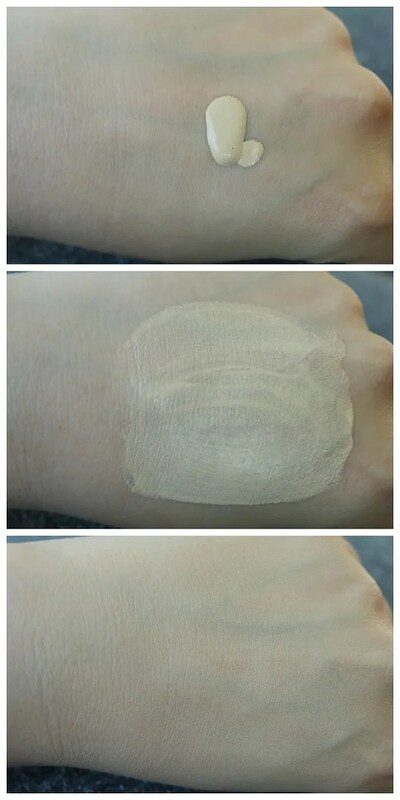 It covers what I want to cover, evens out my skin tone and looks like skin. The wear time on this foundation is great too. I have been wearing this daily for hours on end and do not notice any severe breaking up or other imperfections throughout the day. It doesn’t survive a huge sweatfest in the gym, but it lasts a good 7 – 8 hours with light to medium activities. I do not suffer from creasing, fading or a very oily look when I wear this. 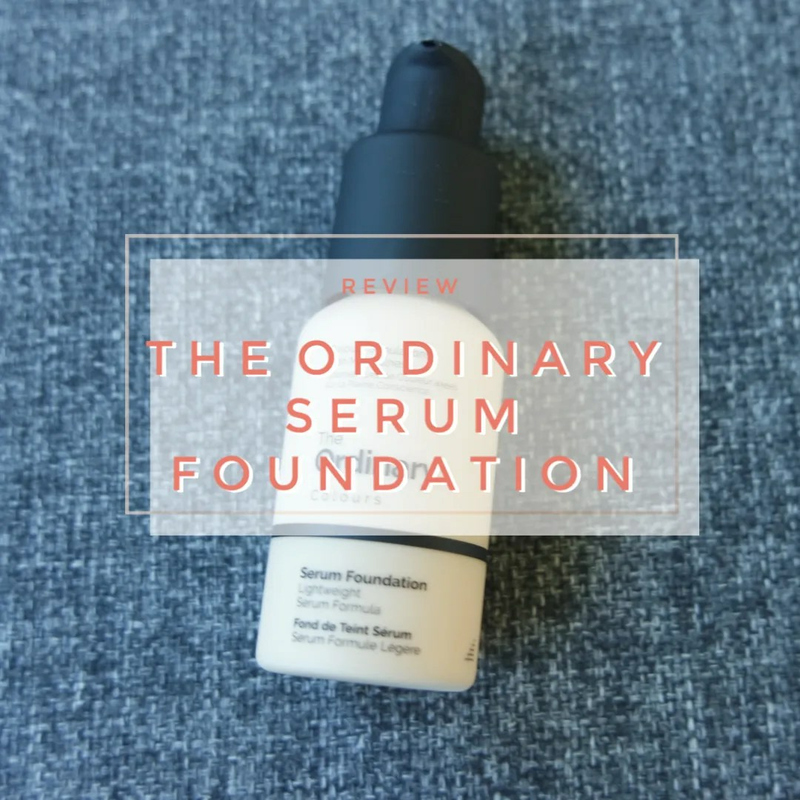 This super affordable Serum Foundation by The Ordinary is a really good one that I would certainly recommend. It has a good shade range, good lasting power and it is a lightweight, skin like foundation that looks really good on me. There isn’t much I don’t like about this foundation. The only negative I can find? That pump that doesn’t fully lock. If it had slightly better packaging that would allow you to chuck this into a bag without making a mess, I would be much more inclined to sing its praises. However, if you are looking for a good, affordable foundation that works just as well as much more expensive options, then this is worth looking into. 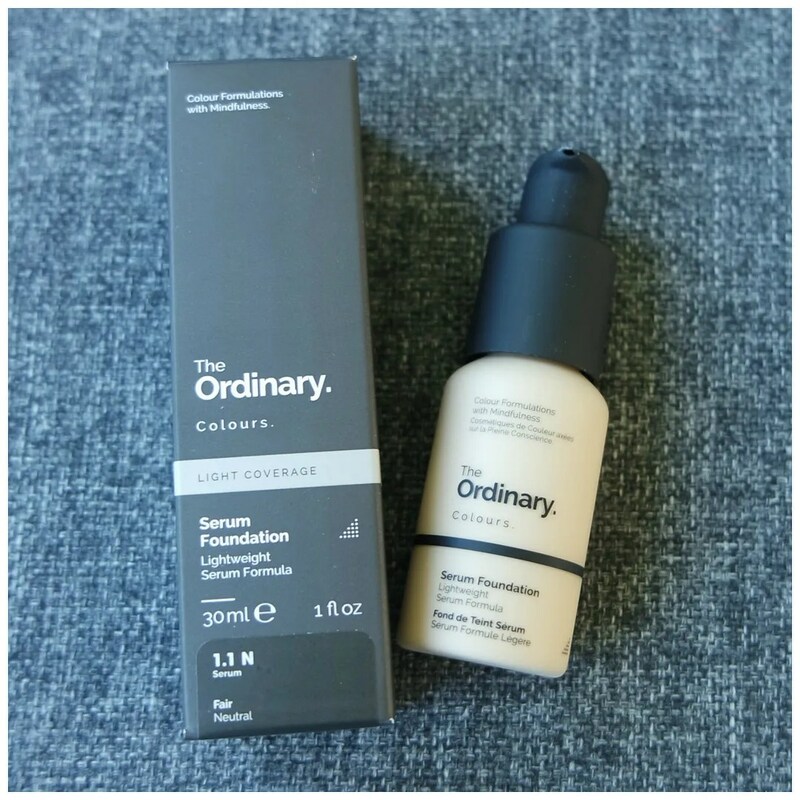 What do you think of the The Ordinary Serum Foundation? I completely agree with you, this foundation is really good, especially for it’s price! I have it too, and I absolutely love it! Lovely review, I am definitely going to try it out because this is the kind of foundation I am looking for!! Let me know whether you like it when you do!